According to a recent report from Eric Costa and Ken Hyers of Technology Business Research, AT&T is planning to introduce true 4G wireless service next year. The new service, officially known as 4G LTE Advanced, is essentially what LTE was meant to be from the get-go (recommended read: Everything You Need To Know About 4G Wireless Technology). That’s right; the high-speed wireless service that we all know and love today is only operating at a fraction of what the standard was intended to run at. Current 4G technology offers speeds that are around one-tenth to one-twentieth of what LTE is actually capable of. We could ultimately end up with wireless speeds topping 100Mbps. AT&T executives speaking at the Consumer Analyst Conference late last month told those in attendance that the company would begin rolling out LTE Advanced networks during the second half of 2013. If you recall, AT&T announced plans to invest $14 billion to finish building out their LTE network by the end of 2014. 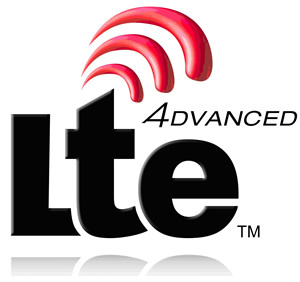 The decision to start working on 4G LTE Advanced before the standard 4G LTE rollout is complete is certainly interesting but in the competitive wireless landscape, any opportunity to one-up the competition will likely be taken. It could be a huge opportunity for AT&T to beat Verizon to the punch in terms of sheer data speed. As you know, Verizon has the largest 4G LTE network in the US thanks largely in part to the fact that they had a sizable head start over AT&T and pretty much everyone else. AT&T spokesperson Mark Siegel confirmed the plans but refused to comment further.